This t-shirt made me laugh out loud. 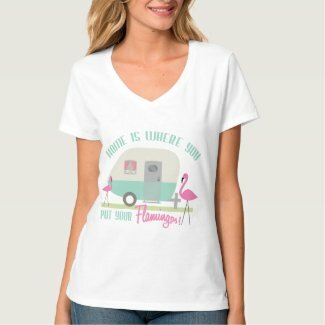 First, I love flamingos and retro campers so putting them together is just perfect. This tee would make a great gift for your favorite camping partner too. Home really is where you plant that pink plastic flamingo!